We can’t believe we have completed our 20th home! We are so, so proud – she was such a joy to Respectfully Restore and now she’s ready to welcome her new family! Give a warm welcome to 1305 Summer – a new construction, Craftsman style, single family home in First Ward and blocks from the Hike & Bike Trail! 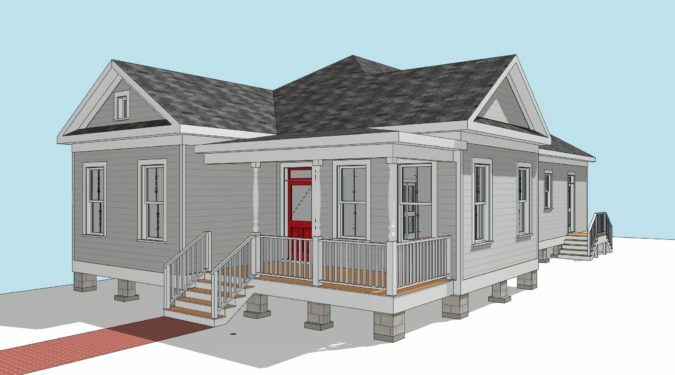 Here is another new construction Victorian-era inspired single family home – this one is located within a Minimum Lot Size block, thus nestled amongst other historic homes! This new construction, Victorian-era inspired home is on a corner lot and one block from the Hike & Bike Trail! Close to many First Ward amenities and only a 5-min drive to Downtown Houston — what a perfect location for a home! Another Respectfully Built new construction home, just one block from the Hike & Bike Trail, close to many First Ward eateries and drinkeries and only a 5-min drive to Downtown Houston – location and convenience! 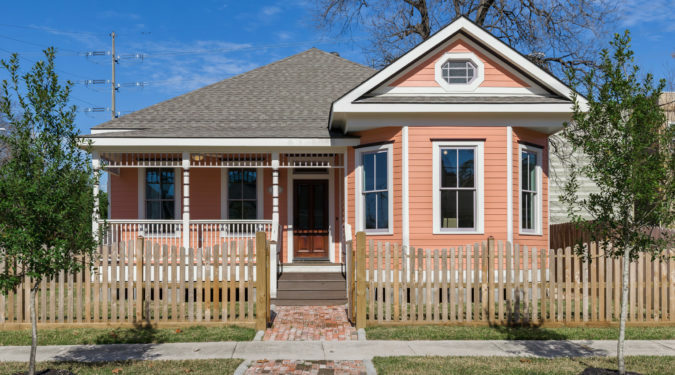 Located in the High First Ward Historic District, this Respectfully Built single family, Victorian-era inspired home blends right in with her 100-year old neighbors! Built in 1895, this gorgeous Victorian, with its intact jigsaw-cut gingerbread trim, ornate front door and interior wainscoting and woodwork is an unbelivable gem located in the High First Ward Historic District! 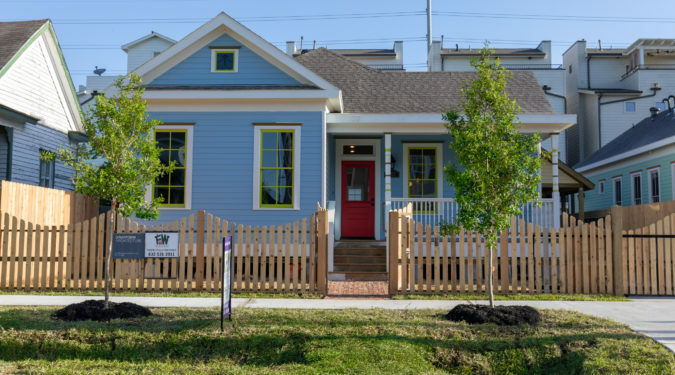 Located 1 block from the Hike & Bike trail, close to Downtown Houston and protected by a COH Min Lot Size ordinance, this house is yet another First Ward pride and joy! 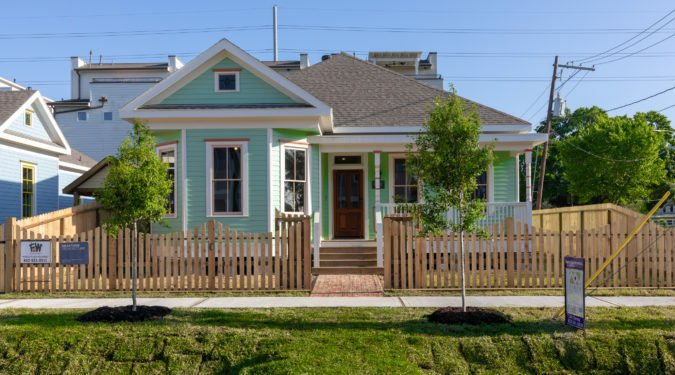 Once a vacant lot, there is now a Respectfully Built house on the corner! Located one block from the Metro Light Rail, and protected by a COH Minimum Lot Size Ordinance, she blends right in with her historic home neighbors! This early 1910s house is located one block from the Metro Light Rail and protected by a COH Minimum Lot Size Ordinance. Packed with historic charm and features, she is also a Preservation Houston 2017 Good Brick Award winner! This 1903 gem is getting its second wind! Located just 1 block from the Hike & Bike trail, close to Downtown Houston and protected by a City of Houston Min Lot Size ordinance, the new owners are simply ecstatic with their Respectfully Restored home! 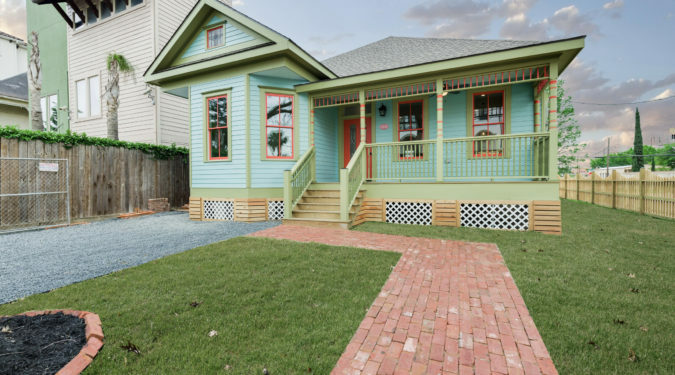 Bright and colorful hues bring this 1883 Victorian back to life! Nestled in a quiet corner of the First Ward, this outstanding house with its wrap-around porch is a 2016 Good Brick Award winner and COH Protected Landmark – The Hirzel-von Haxthausen House! We were rather adventurous with the exterior paint colors – but we think it has only enhanced the home’s elegance, beauty and grandeur! 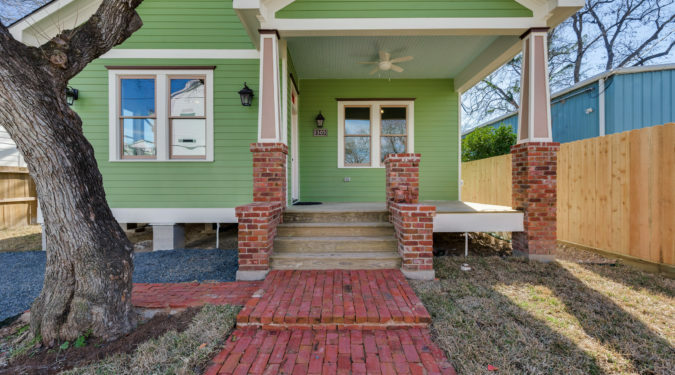 Located on a corner lot, this sweet Craftsman bungalow is also within the High First Ward Historic District! This Queen Anne house has such a beautiful elevation from the outside, and on the inside, its layout is thoughtful and functional. She was a joy to Respectfully Restore! Moved from 5 blocks away, this historic Folk Victorian home has been Respectfully Restored and is a 2016 Good Brick Award winner and COH Protected Landmark – The Bammel-Long House! A front porch was essential in the time before air-conditioning and also encouraged a sense of neighborliness. 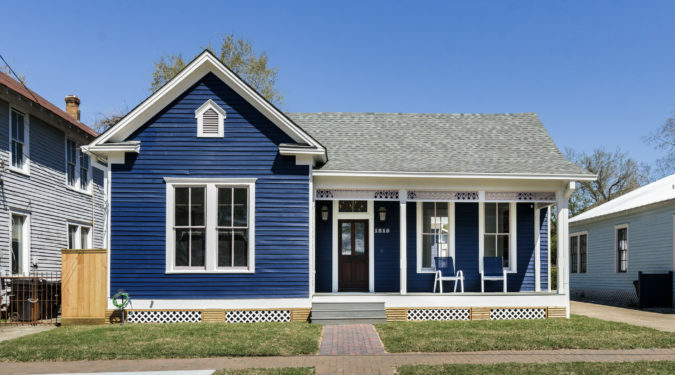 This 1920s bungalow, with its wide front porch captures and celebrates that spirit and fosters a special sense of community! 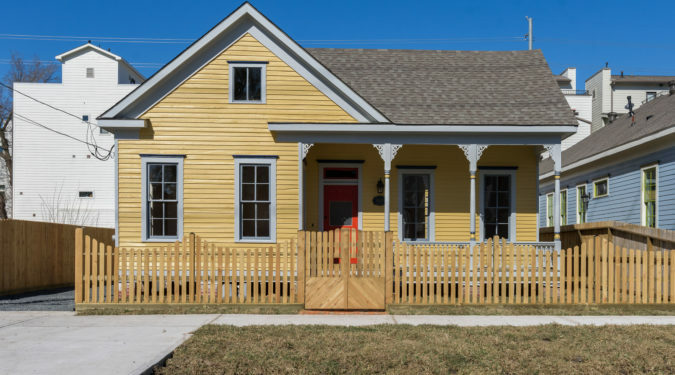 FW Heritage’s very first Respectfully Restored home – a classic example of a small Victorian cottage in the heart of the High First Ward Historic District! Want to add on a master suite? Need a new kitchen or bathroom?